By submitting your entry, you confirm that you have read and agree to the terms below (“Rules”). 2. 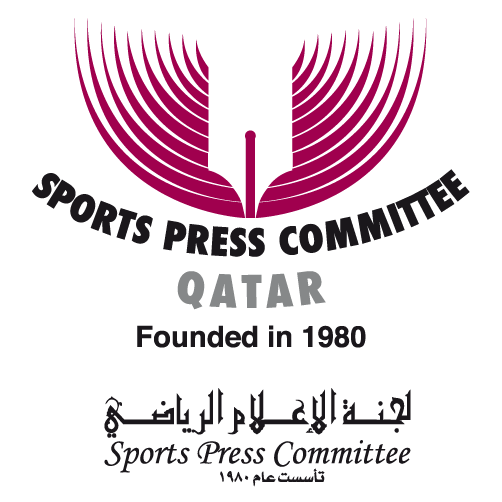 All decisions of the AIPS Awards’ organisers and judges are final. After entrants have submitted their work the Awards’ organisers and judges will not enter into any correspondence with entrants on the subject of entries and Awards. 3. All entrants must be persons who are 18 years of age or older on or before July 1, 2017. 4. No entry fee is payable. 5. Each entry for the 2018 Awards must have had its first publication or broadcast between July 1, 2017 and September 17, 2018. Proof of publication must be submitted with the entry. 6. The language of the AIPS Awards is English. All entries in any language will be accepted. Applicants submitting entries in languages other than English may provide an English translation. All entries will be screened by native speaker from the respective member association of AIPS in the first phase. 7. Applicants are strictly limited to a maximum of two entries across all categories of the Awards. A separate online entry form and supporting materials will be required for each entry. 8. Entrants are responsible for ensuring that their entry meets all eligibility requirements and selecting the most appropriate category for their entry(s). The AIPS Awards organisers reserve the right to move an entry into another category when it would be more appropriate there-/if they see fit. 9. In the event of entrants submitting a series of articles, or body of work, this will count as one entry. However, the entrant must select a maximum of two stories that best reflects their work and the content of the series. 10. It is the responsibility of the entrant to provide complete and accurate information about the entry (including supporting documents). The AIPS Awards’ organisers will not be liable for errors or omissions in the entry forms. 11. Entries and information contained within any entry (including supporting documents) must have been obtained legally, must not infringe any copyright or other intellectual property rights, must not be defamatory or breach any privacy law, and must not breach any other law or regulation. 12. Photo entries must be provided from professional photographers only. Photographers may be asked to provide proof of their professional status. The photographs entered in the contest must be made by the photographer who owns and retains the copyright for the photo. A photograph may not be entered more than once, i.e. a photo entered into the Action category cannot be entered into the Portfolio category and vice-versa. No team entries will be accepted. All entries must carry complete English captions. Photographs may not be manipulated to block out distracting elements or to make significant changes in color and contrast. Only cropping or removing dust and scratches are allowed. 13. Entries should be made only via the website and in accordance with the instructions given on the entry form and must be submitted on, or before, 6 pm CET on September 17, 2018. Entries arriving after this date will not be accepted except in extraordinary circumstances. Acceptance after the deadline will be at the AIPS Awards’ organisers sole discretion. 14. Supporting documents for online entries are to be submitted only via the Awards’ online entry website, www.aipsawards.com. 15. If an entrant is found to have breached these Rules or acts in any way that brings or would be likely to bring the reputation of the AIPS Awards into disrepute, the Awards’ organisers reserve the rights to disqualify an entrant or to remove or withdraw an Award. 16. All entries are the property of the AIPS Awards’ organisers. No entries will be returned to entrants. 17. The entrant grants the AIPS Awards’ organisers unrestricted, unfettered and irrevocable non-exclusive rights in all works submitted for entry into the Awards (or where such rights are owned by a third party, the entrant shall procure that such third party grants such rights) for the AIPS Awards’ organisers to use such works only in conjunction with objectives of the Awards including for the purposes of promoting the Awards, presenting the nominations, having the panel of judges determine the Awards, conducting the presentation ceremony and making the finalist and winners entries available to the public. The entrant also grants the AIPS Awards’ organisers the exclusive right to record and use the sounds and images of any acceptance speech relating to the entry or any other participation of the entrant in the AIPS Awards ceremony in any television broadcast, any website or other distribution medium or publication in connection with the Awards including for publicity and promotional purposes. 18. Finalists selected by the Jury will be invited to and must participate in the finalists’ programme in January 2019. The AIPS Awards organisers shall pay for and arrange all flights, transportation accommodation and certain scheduled meals and will provide visa assistance for the entrant (“Travel Arrangements”). Travel Arrangements will be confirmed with the selected entrant closer to the travel date but will be on the basis of one adult, return flights and hotel accommodation. Travel Arrangements are not transferable, exchangeable nor redeemable for cash. 19. The AIPS Awards organiser shall not be liable in any way for any loss or damage whatsoever suffered (including, without limitation, indirect or consequential loss) or for any loss or damage or personal injury suffered or sustained in connection with the Awards except any liability that cannot be excluded by law. All entrants indemnify AIPS Awards organisers, AIPS and their related parties against any loss or damage (either direct, indirect, consequential or otherwise) arising from the entrant’s participation in the Awards.